Do you have Cisco Aironet Mounting Kits, Power Injectors or other accessories you are looking to sell? If your company has accumulated excess inventory of Cisco Aironet Wireless accessories such as ceiling mounts, grid clips, power over ethernet injectors, or other misc. wireless gear you no longer need, we'll buy it. Look no further, NetEquity.com buys used Cisco Aironet Mounting Kits and Accessories, as well as excess/spare inventory of New, Used or Refurbished Aironet wireless equipment. If you have excess Cisco wireless equipment that is not needed for your current operation, contact our purchasing department for a fast, competitive quote to buy your excess inventory. Cisco manufactures industry leading wireless access points, adapters, and other products that provide a complete solution for any wireless network deployment. Cisco offers the widest range of antennas, cables, and accessories of any wireless manufacturer. Product offerings include directional and omnidirectional antennas, low-loss cable, mounting hardware, and other accessories. NetEquity.com Buys, Sells, Trades and Consigns Cisco Aironet Mounting Kits, Power Injectors and Other Accessories. If you are an equipment seller or potential buyer interested in pricing, we can help! Contact us today for a quote. Are you interested in buying Cisco Aironet Mounting Kits, Mast Kits, Power Injectors, Cables or other accessories? NetEquity.com stocks a huge inventory of New and Professionally Refurbished Cisco Aironet Wireless Access Points, both current and End of Sale models. Our Refurbished Cisco access points are restored to "Like New" condition and ready to install with mounting kit and accessories. We offer a full 1-Year replacement warranty on New and Refurbished Cisco Aironet Products. If you need upgrade parts or accessories for installation of Cisco Aironet wireless access points, contact us today for a competitive quote. 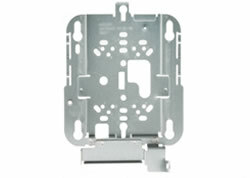 We offer competitive pricing on New, Used and Refurbished Aironet Mount Kits and Accessories. NetEquity.com wants to buy your used, excess or end-of-life Cisco Aironet Wireless Access Point Mount Kits and Accessories. We buy AP mounting hardware, grid clips, power injectors and other Cisco wireless equipment accessories. We also sell a wide variety of Cisco Aironet accessories including Cisco Aironet ceiling and wall mount bracket kits for wireless access points, Cisco directional, omnidirectional and yagi antennas, Cisco Aironet Power (PoE) injectors and many other Cisco wireless products. Contact us today to buy, sell, consign or trade your unwanted Cisco Aironet wireless equipment.